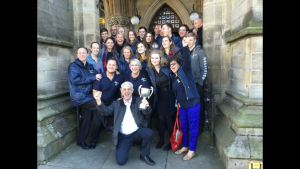 On Sunday 23rd October 2016, the band entered its first ever Band Contest since its formation just under 3 years ago. 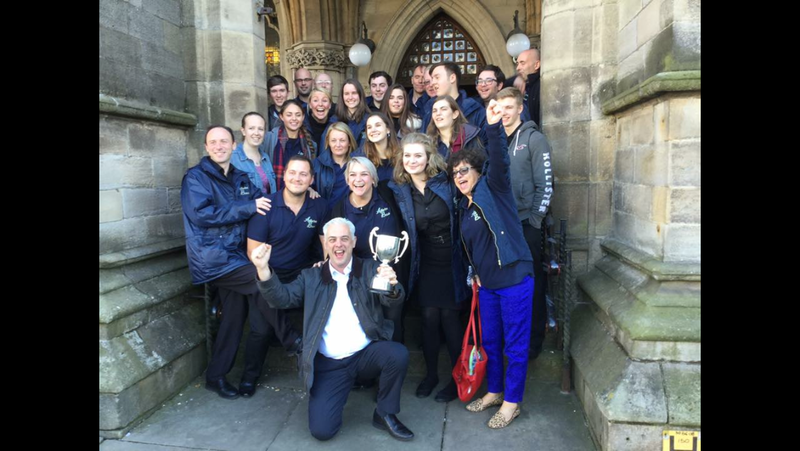 Up against some tough competition, it was with great delight that the band went and won the Fourth Section! There were 7 Bands in total in our Section and we had a very early start. We were on the road around at 6:30am (6am for some!) to drive to a very Autumnal looking Victorian venue that most of us have never been to before; Rochdale Town Hall. The organisers were quite surprised with how keen we seemed to be, arriving at least 20 minutes before they were there to open up! This is a great achievement for the band, not only being so newly formed, but there were many players who have never contested before. From what started as a pipe dream, all the hard work that has gone into the band paid off on Sunday, and we hope this will stand us in great stead for the contests at the beginning of the New Year. We would like to give special thanks to all those who gave their time to help and give us guidance in rehearsals since we started preparing for the contest in August, including Mike Jackson, Brian Taylor, Jill Aspray, Paul Andrews and Nicola Shaw. Preparations are now under way for our Annual Christmas Concert at The Capstone Theatre on Friday 9th December, this year joined by Sudley Junior School Choir. We will also be performing at The Elephant Pub as part of the Woolton Village Christmas Lights “Switch On” on Saturday 26th November, and in Bishop Eton Church for the Nugent Care Concert on Saturday 10th December.